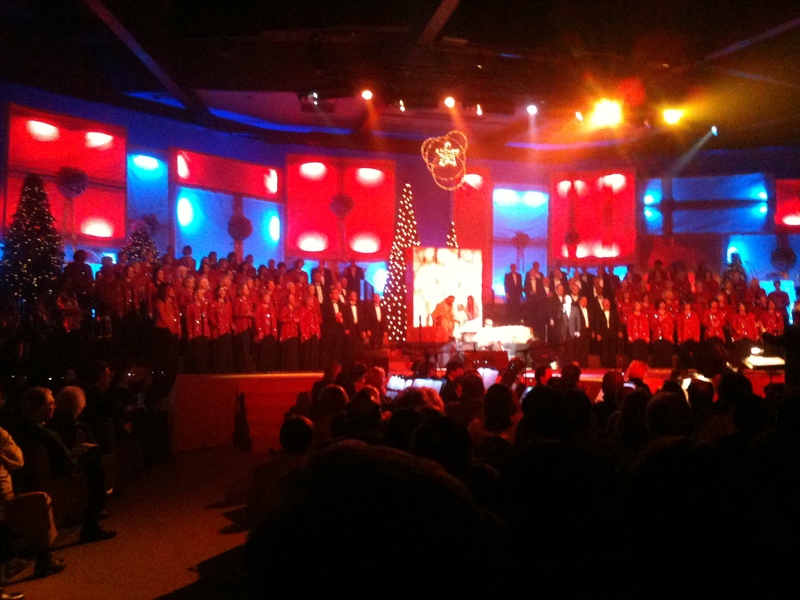 Our church presented their Christmas Musical this weekend. Again, I was blessed to assist with the content. It was back in the summer that I found out the theme; and it was on our vacation to Canada that my son and I discussed how to make the theme of “gifts” work. It reminds me of the times my Mom used to ask me to “draw something”. I used to sit there for what seemed to be hours trying to think of something to draw. Then I’d beg her to tell me a theme. “Draw something on your desk.” Then everything was so much easier. How do I get past the “spinning” stage of concepting? Consider your limitations. We had a limited budget this year, so the idea had to be easy and use things from around our Church. Some of the best ideas are simple. Then, we knew we needed to incorporate the Christmas story (duh! ); and the music would be chosen by the Music leadership. We also knew the limitations on the technical side. • the Gift that was given so that we actually celebrate Christmas. Be Clever. Try to “think outside of the normal“. What if the stage had several random gifts that would be stacked throughout drama and become the backdrop of the nativity. Then the nativity would “freeze” and some of the boxes (lit from within) would form a cross. Then an adult Jesus would be silhouetted from the backlit cross. The best part of being “clever” is to make sure it emphasizes the theme, rather than obscuring it. I liked how the “gifts” turned into the “Gift”. Details were added, including a huge backdrop of really large gifts that could be color-controlled from behind. Again to emphasize the smaller backdrop being assembled. Thanks to an incredibly talented church; someone wrote a superb drama to tell the story and allow the concept to evolve. Then hundreds of people presented, acted, directed, sung and worked out the complexity of the technical (whew!). It’s all a blur. And the “whole” plays down any small role I had. God used us all. 5 performances later, thousands attended, and God used my “gift” to point to His Gift.